I am loving this product. 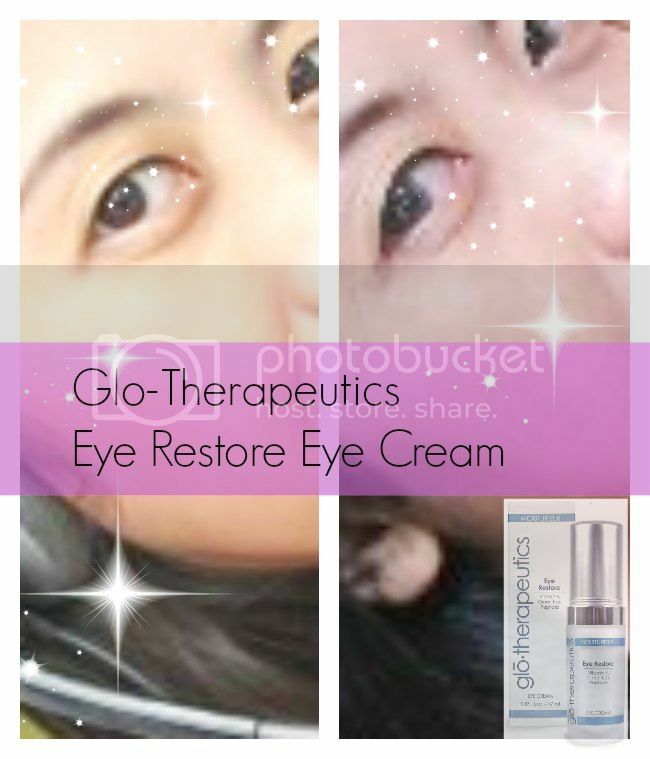 If you have puffy under eyes and you are looking to hydrate your skin around your eyes, I really recommend Eye Restore eye cream from Glo-Therapeutics. At first, I was so hesitant to try again another eye cream product because of the disappointment I got from the previous eye cream I used which doesn’t live to its promise despite of it’s expensive price. An eye cream that improves the appearance of fine lines and puffiness while restoring the skin’s texture. Three month clinical trial showed a 57% improvement in fine lines and 27% increase in firmness. It helps reduce the puffiness under my eyes. It helps reduce the fine lines around my eyes. It lightens my skin around my eyes. How to Use: Apply a small amount to the eye area on clean skin morning and evening. Before, my eyebags are very obvious that is why I am thankful to this product that I do not even have to use concealer all the time. Definitely, yes. I have been using this for 20 days now and I already see the positive result. You can check their website where I bought mine. It was just this week when I learned that they have a Philippines Facebook Fan page.